The TEJO Commission for Human Resource (HR) is a relatively new but active commission. On this page you will learn more about our responsibilities and activities. If you are as enthusiastic as us about what we do, please contact us at hr@tejo.org to join our team or learn more about what we do. Conversely, if you think there is room for improvement, kindly send us some feedback, we greatly appreciate it. We are young people from various continents who work together on the internet. In order for this arrangement to work, we had to agree on our vision, mission, values and the aims we seek to achieve by IJK 2015. 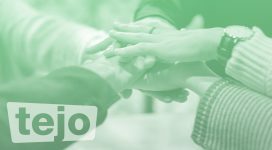 Our vision: In TEJO, young Esperantists effectively and efficiently working together to achieve the goals of the youth movement. Our mission: TEJO-HR will help to create a good rapport among youths, instigate exchange of experiences and capabilities, and facilitate contributions to TEJO activities and to the attainment of its goals. Moreover, we believe in the values of internationalism, compassion, solidarity, openness and inquisitiveness. Finalize the soft-transfer of information from the previous to current leadership with clearly stated responsibilities, contacts and an agenda calendar. 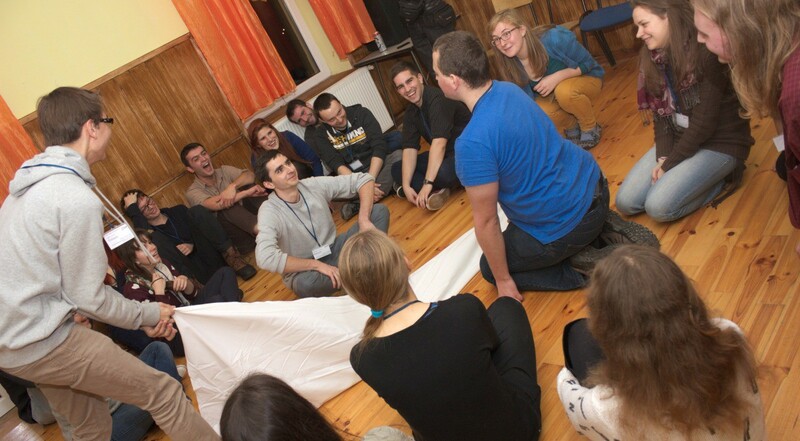 Develop a system that engages new members of TEJO to be active in productive and beneficial youth activities. 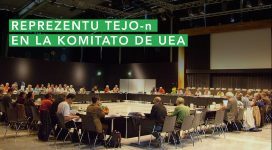 Propose diverse activities and engagements to the TEJO membership to give value to being a member of TEJO. 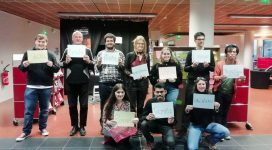 Develop a system that introduces the Esperanto Movement to learners on Duolingo and lernu.net. Have an updated database of the active membership and their capaibilities. Create a new guideline and update an existing one every month. 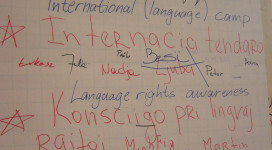 In short, we aim to link every member who wishes to contribute to the Esperanto movement to an avenue to do so. As such, transparency and accessibility of TEJO are important aspects in order for the membership to be able to be active at all levels of the organization. Moreover, it is necessary to ensure that each member is able to work in good conditions with the best of information, efficiency and environment. To achieve this, we seek to improve the facility of the membership with regards to human management, team work and the transfer of knowledge. Would you like to know more or to contribute? Simply write us at hr@tejo.org!